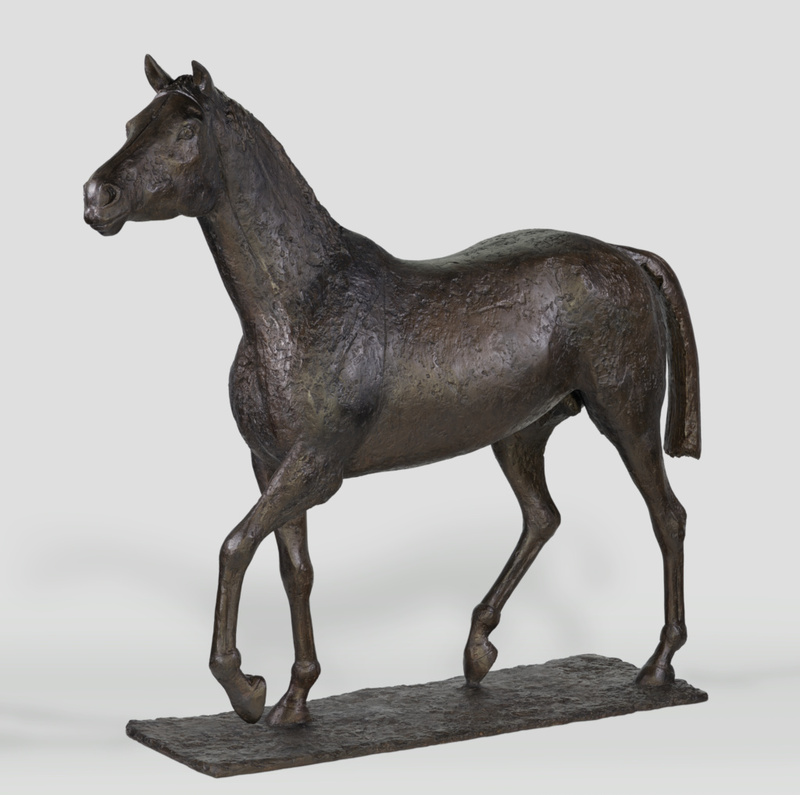 This life-size horse conveys the strength, speed, and vitality of a racehorse. Robust, rounded joints compliment its solid, muscular body. With its long neck extended, head turned to one side, its ears pointed forward, and confident stride, the animal appears alert to its surroundings. 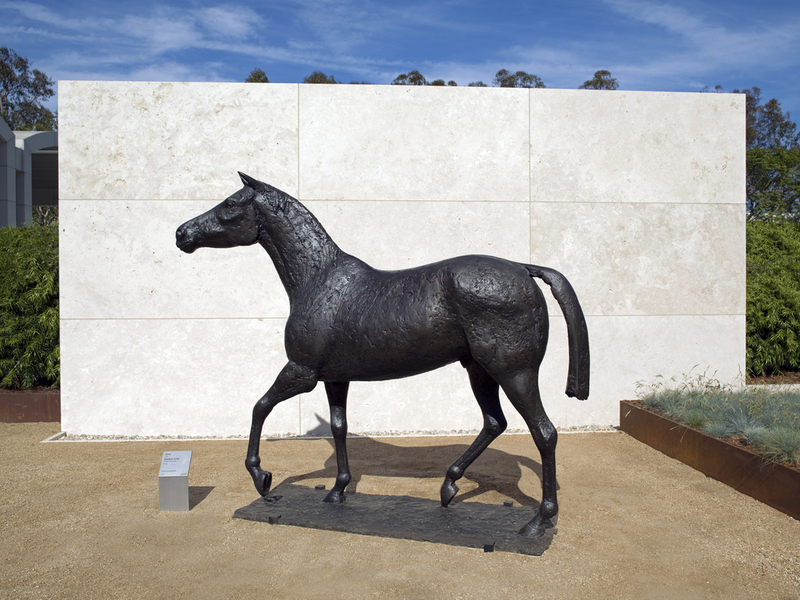 But the marked divots, incisions and striations covering the form's surface remind the viewer that this impressive horse is cast in heavy bronze. 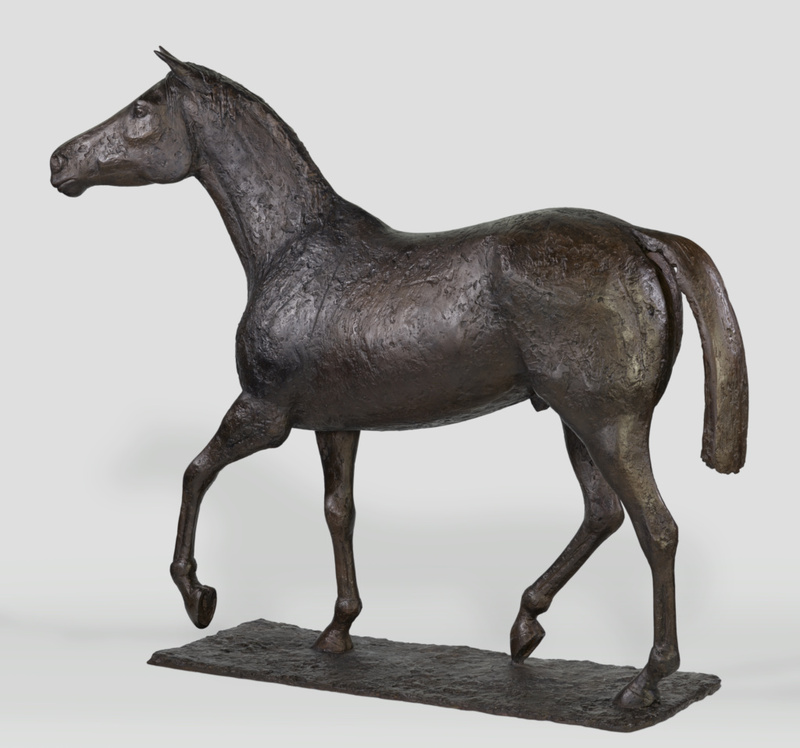 Elisabeth Frink's affection for horses stemmed from her country childhood in Sussex, England. Her father was a skilled horseman and an amateur jockey, which added to an enthusiasm that continued throughout her life. 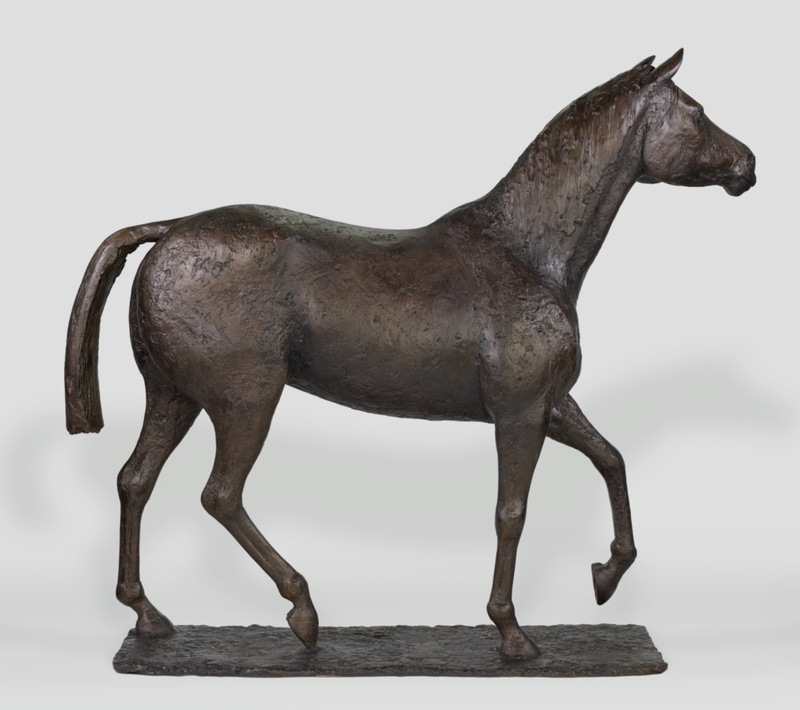 But it was only when she moved to France in the late 1960s that Frink began creating sculptures of horses. 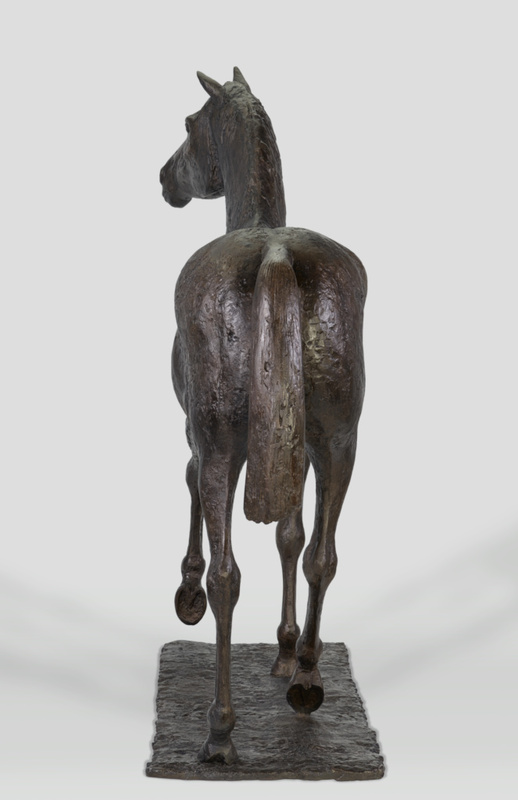 She would continue to explore this subject for many years often representing a horse and male rider. This sculpture was made from a plaster cast created in 1980. 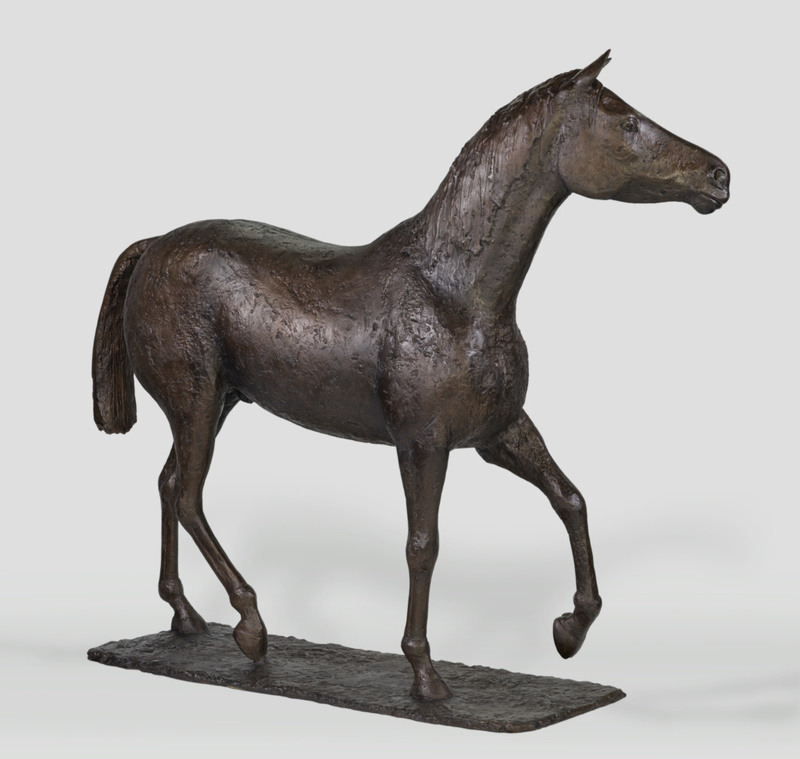 The form was originally commissioned for a Sussex racecourse. 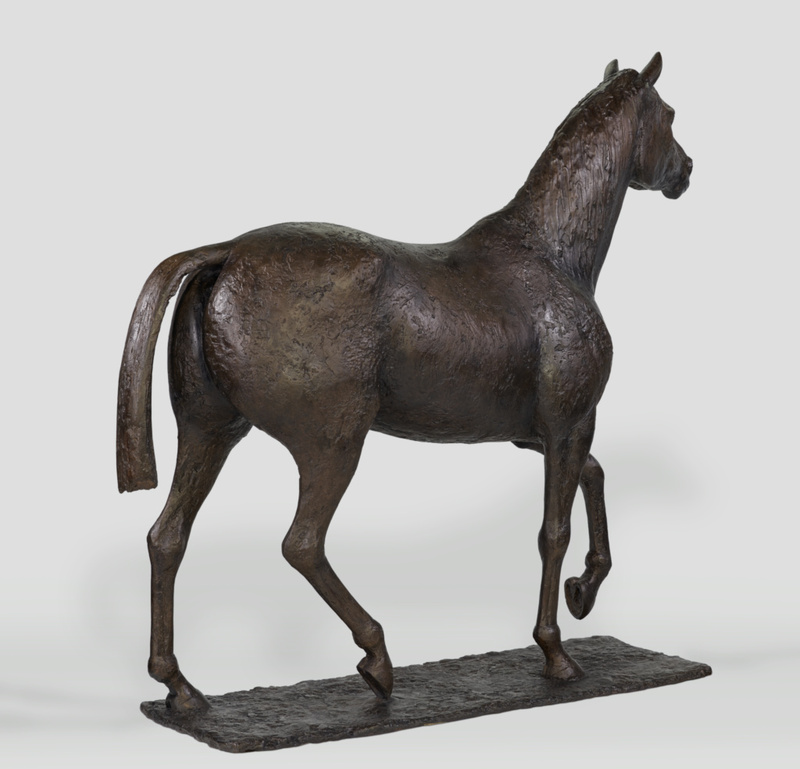 Frink claimed that her sculptures of horses were about "the ancient spirit of the horse and its evolution in relation to man." Fran Stark and Ray Stark, purchased from the artist and Alex Csakym, March 7, 1986, Dorset, England; upon the death of Fran Stark, retained by her husband, Ray Stark, 1992. Ray Stark, upon his death, distributed to the Ray Stark Revocable Trust. 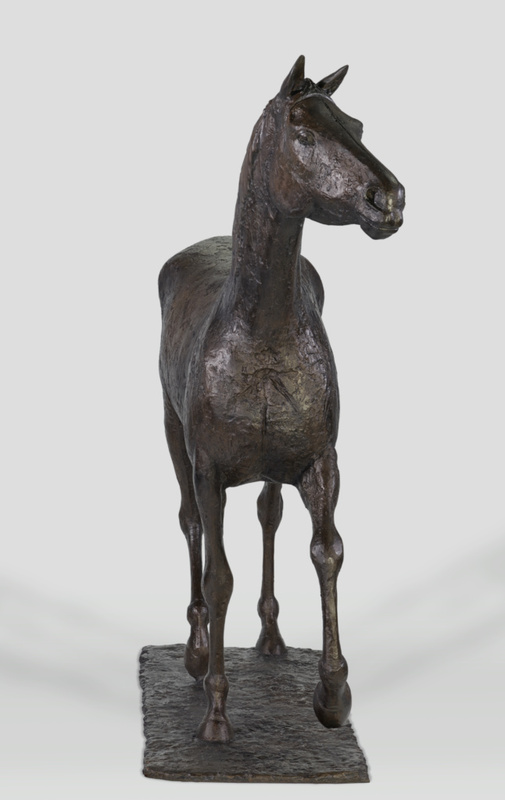 The Ray Stark Revocable Trust, donated to the J. Paul Getty Museum. Boström, Antonia, ed. 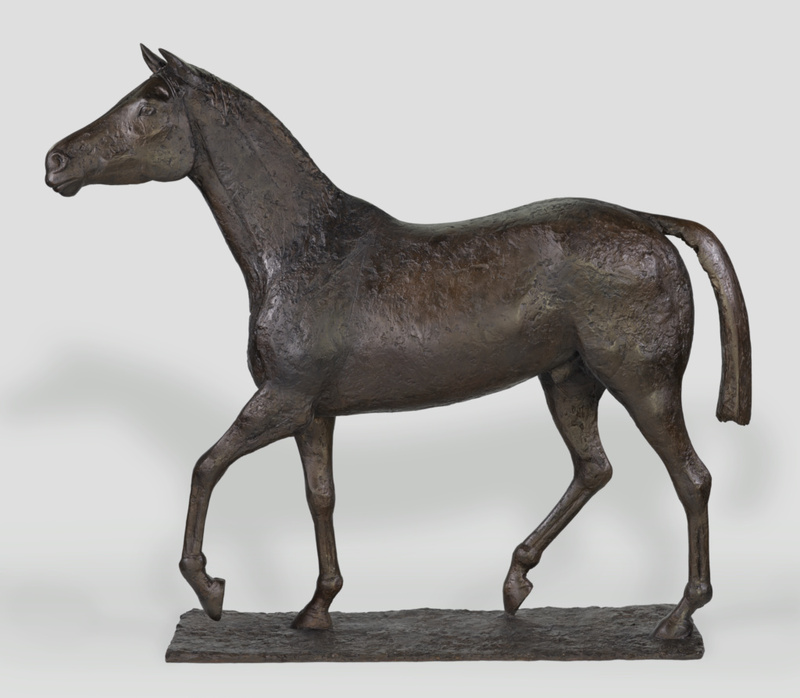 The Fran and Ray Stark Collection of 20th-Century Sculpture at the J. Paul Getty Museum (Los Angeles: J. Paul Getty Museum, 2008), pp. 74-77, no. 7, entry by Christopher Bedford.